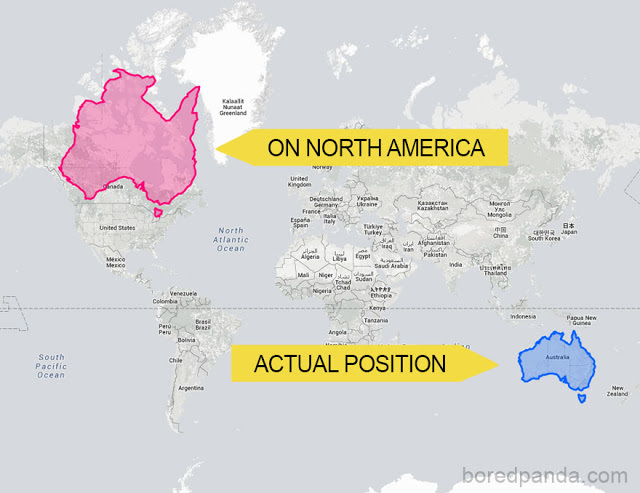 The reason why certain countries looks bigger or smaller than others is because of something called the Mercator Projection. 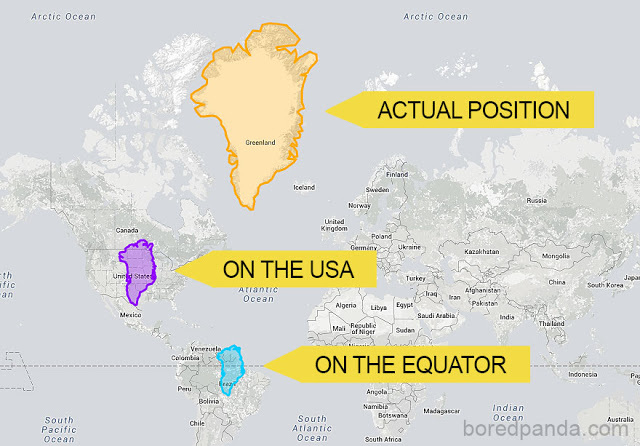 Putting a 3D planet on a two-dimensional map was something of a challenge for early cartographers and so a Flemish geographer and cartographer named Gerardus Mercator came up with a solution. 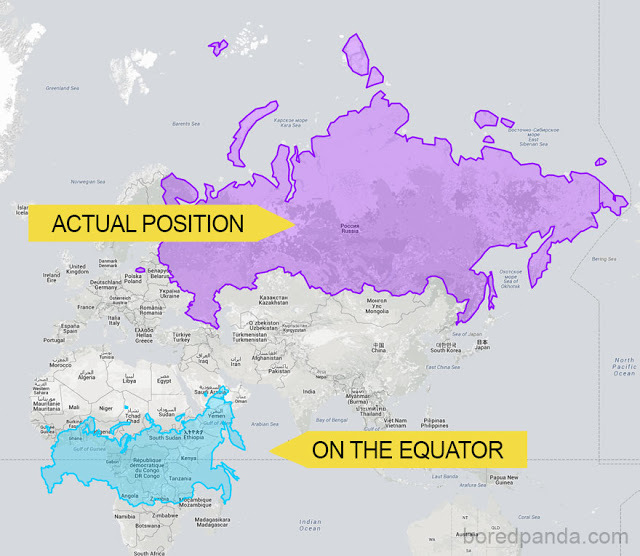 In 1569 he designed a map that could be accurately used for navigation purposes, but the downside was that his system distorted the size of objects depending on their position relative to the equator. 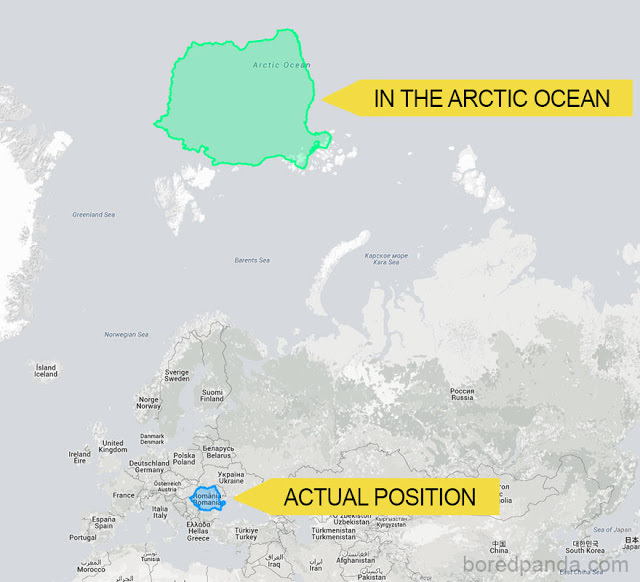 Because of this, landmasses like Antarctica and Greenland appeared much larger than they actually are. 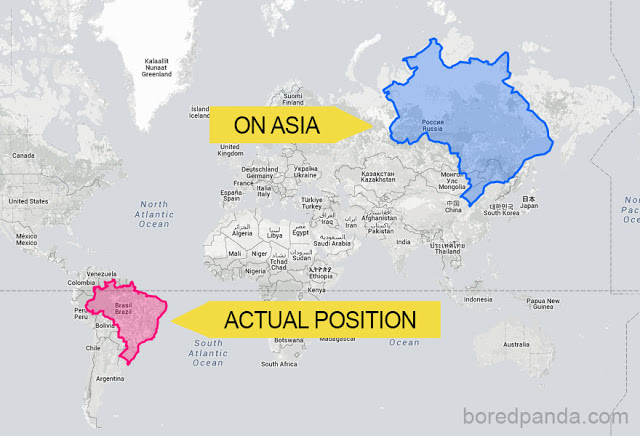 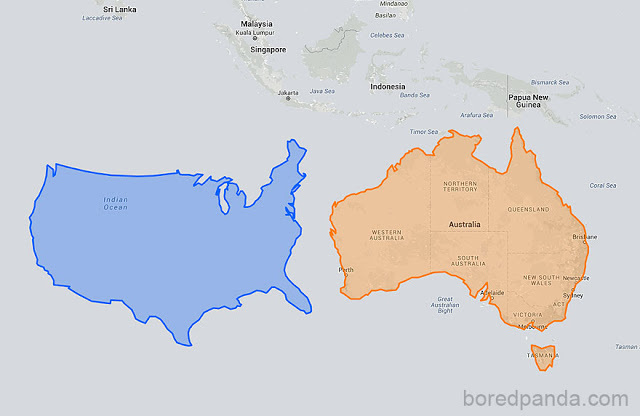 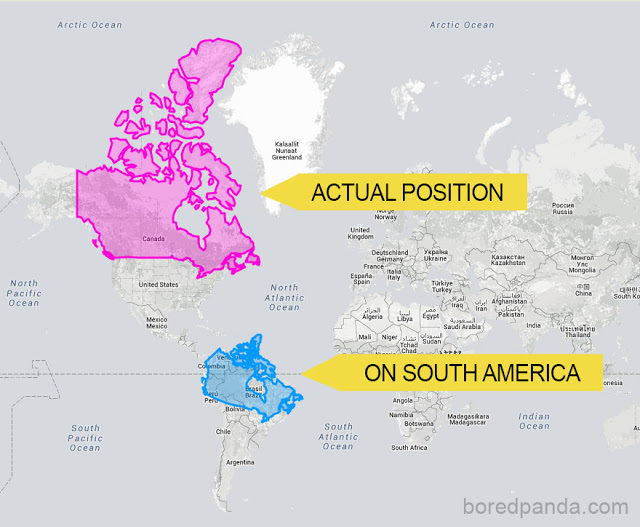 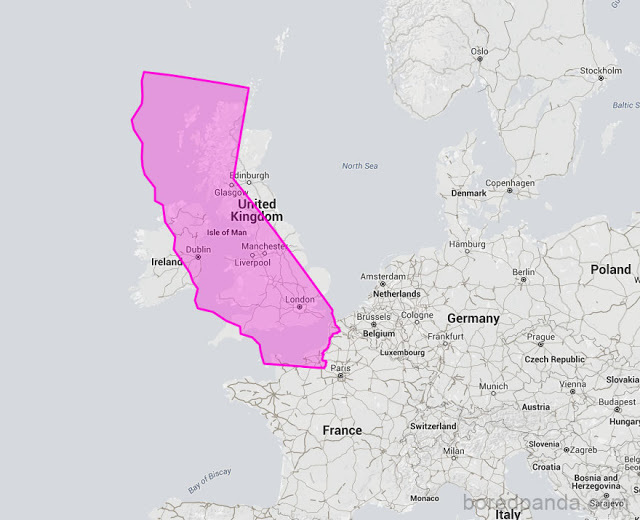 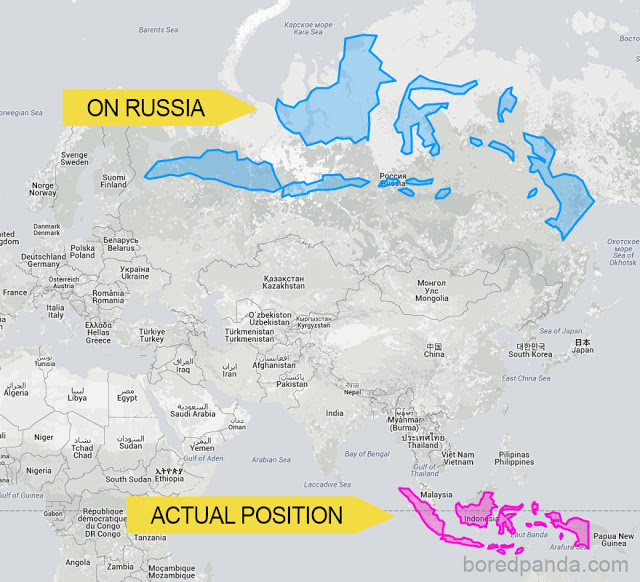 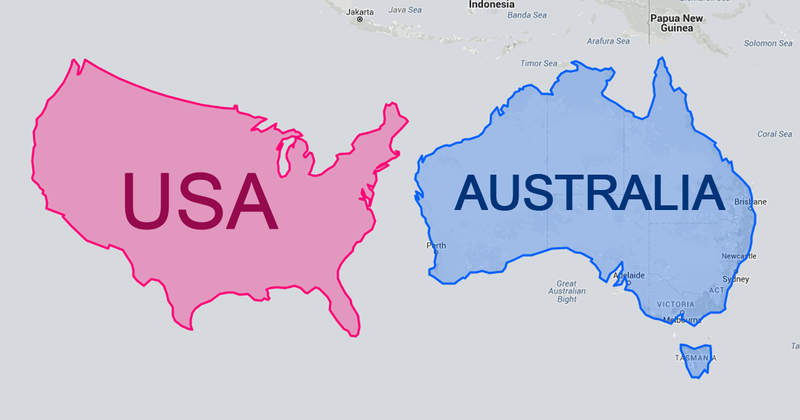 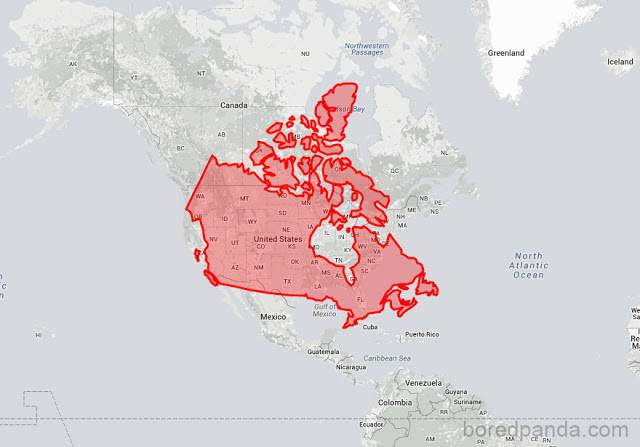 To show how incorrect our understanding of country sizes is, a website called thetruesize.com lets you move landmasses into different locations. 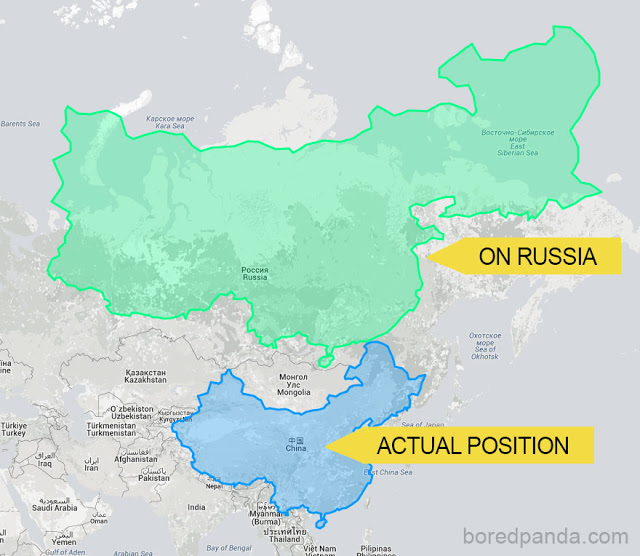 Bored Panda has played a bit on this site, and this is what we found.